Jennifer Flannigan is a abstract artist living and working in Raleigh North Carolina. Jennifer began her career as a professional hairstylist and channeled her passion for color and texture into her paintings. She dedicated time developing techniques to create visual texture and a rich adventurous color palette. 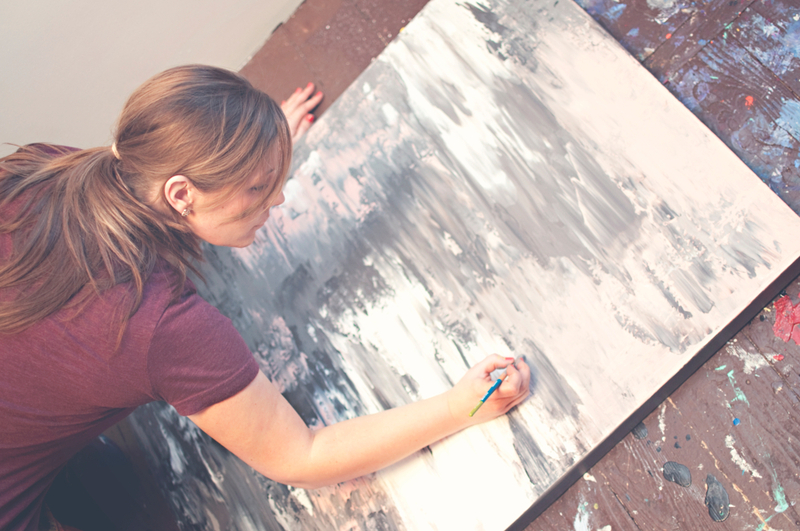 Her process is spontaneous, combining an intuitive approach with years of experience. Each painting uses color and an organic style to communicate a visual dialogue of energy and emotion. Her vibrant and energetic work has been seen on HGTV, and many online publications such as Traditional Home Magazine, Glitter Guide, and Style Me Pretty. Jennifer continues to take on new commissions from designers and collectors nationwide. All images copyright © Jennifer Flannigan and may not be reproduced in any form without written permission.